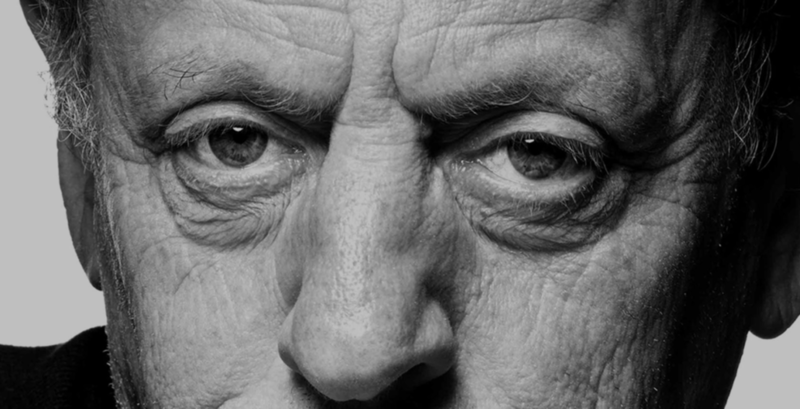 Philip Glass, born in 1937, is widely regarded as one of the most influential musicians of the late 20th century. Glass's work has been described as minimal music. Glass describes himself as a composer of "music with repetitive structures", which he has helped evolve stylistically. On November 21st, 2017, I wrote an article titled â€œ - ADDICTION, OBSESSIVE COMPULSIVE DISORDER (OCD) AND YOGA: an unorthodox perspective - â€�. In this article, I proposed a framework which - in my opinion - provides an interesting point of departure to shed light on various kinds of addictions and OCDs. In a nutshell, I propose that repetitive behaviour finds its root in a complete failure to receive security, comfort and affection in the first 6 years of life. The growing adult will subsequently try to compensate for that painful lack by inventing or creating routines of artificial certainty: they range from substance addiction to obsessive compulsive disorders (anorexia, bulimia, industrial sexual consumption, workaholism, gambling, trading the markets, over-cleanliness, monomaniacal communication patterns and an infinity of other media of toxic expression). The first step to freedom is to shift the toxic rhythm to an area that actually builds vitality, health and good relationships: practicing yoga or any physical activity, artistic creation, any type of religious or spiritual devotion can be tremendously positive outlets to the infinitely tense energy that finds its source in what I call the â€˜emotional black holeâ€™. That first step is only a shift. The victim is still a prisoner. She has only managed to report a pattern that was disserving her and others to one with life benefits. But inside, the feeling of lack of freedom will remain, unchanged, and the bouts of discouragement, depression and regular throwbacks in the deepest pits of the hole will recur. It is only in finding liberty in the fixed form, the fixed structure of the now positive addiction that the magic of spirit can be regained, and a newfound freshness afforded to the honest â€˜seekerâ€™, for lack of a better term. That sounds pretty cryptic, and there is no manual. I am hoping to illustrate my point below. Without going in details, Philip Glass, pictured above is according to me the perfect example of an obsessive compulsive composer with psychopathic traits who has chosen music as a specific way to transmute the pain. I know nothing about this man other than what can be read about him online, interviews or his music. But to repeat the picture caption, Philip Glass, born in 1937, is widely regarded as one of the most influential musicians of the late 20th century. Glass' work has been described as minimal music. Glass describes himself as a composer of "music with repetitive structures", which he has helped evolve stylistically. Personally, I find his creations sublime. In essence, his whole work is a variation on the same musical piece. In this regard, he reminds me of another artist that I thought of in order to illustrate this article: Keith Jarrett. I recommend the reader to watch the troubling â€œKeith Jarrett: the art of improvisationâ€�, to understand from a completely different angle the ideas conveyed in this article. Keith Jarrett, at the height of his musical genius and expressivity experienced the most distressing depression, burnout, whatever you want to call this. It took me years to understand why and how. I think I do now. But I feel too close to Keith Jarrett in psychological make-up to be sufficiently objective and emotionally detached to write something intelligently informative. As the picture easily shows, the gaze is a pretty good cue and giveaway to the existence of the mentioned tendencies in a subject. Short piano piece of about four minutes, this hard pressed runaway of staccato notes has a haunting feel to it, only alleviated by the beautiful chord sequencing and the lyricism of the melodic lines. Yet, it should be apparent already that Glass has succeeded to create magic and sensitivity in something absolutely repetitive and mechanical. This is his very personal way to transcend and sublimate determinism, and I fully buy it. It still needs to be played. The two interpretations available at the top of the article are both stellar in my opinion. It is also very interesting that they are hugely different. Could we expect any less from a young viking and a more mature Japanese lady: vast cultural, age, gender and a myriad of other differences for sure. For the sake of this conversation, letâ€™s consider the piano etude No.6 like the primary series of Ashtanga Yoga: a fixed repetitive form with a handful of big blocks (surya namaskars, standing, sitting, finishing sequence) to be performed by the practitioner/player. Listening carefully to the musical piece, we can notice similar blocks in Glassâ€™ proposed sequence of musical events. Sometimes, I look at practitioners of the primary series, and I am reminded of a former me who was trying too hard. Sometimes I watch myself, still now, and I get in that trap of trying to show off. There is an urgency, a tension in the practice which completely nullifies the very essence of it. It goes a little too fast. I am a little too concentrated and not enjoying myself enough: after all, yoga, like music, are deeply sensual activities that allow us to connect to fundamental vibrations, the Musica Universalis, in the macrocosm as in the microcosm. I also play the piano. Like in the whole body when we practice yoga, there can be a lack of freedom in the fingers of the interpreter that will smother and stiffen the deployment of the full sound of a note. More often than not, that residual tension comes from an unconscious need to exist through the eyes/ears of the audience, rather than develop an intimate relationship with the fixed form itself. Another term to describe this generic defect is greed: greed in Ashtanga practice would be desiring to achieve all series perfectly without finding oneâ€™s own voice and giving our uniqueness to a more than limited self proclaimed guru (making tons of money regardless of how or why to use an analogy that everybody can understand, under the umbrella of neoliberal capitalism as a guru). Other times, I watch a performer add their unique voice and sensitivity to the primary series: like any raw material for creation, like the fabrics of a fashion designer, the practitioner seems to make hers the proposition of the fixed form and add a special colour to it. It is impossible to watch such a practitioner without being mesmerised and deeply moved. May be she slows it down a little bit. May be I can see in the glimmer of her eyes the pleasure, sensual, almost sexual that comes with the engagement with the fixed form: it is another way of making love, after all. The notes, or the asanas, have a little more time to mature and ripen. Hidden semantics slowly emerge from a common vocabulary of asanas or musical notes, and we can not only make sense of things differently, but with feelings as well. Mostly love. It is the sole difference between coming from the head, and coming from our whole being. Both musical pieces are lovely to listen to, donâ€™t get me wrong. In the end, to each their own sensitivity and orientations.